We are currently recruiting for a Pre Litigation Fee Earner for a well established firm in Preston. Must be someone who can deal with matters which have fallen out of the portal up to litigation. Previous experience in a similar role is a must. 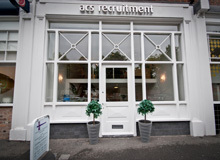 We deal with temporary and permanent vacancies, call us today on 0151 7093960.